How to use Organizations in the Livingtree Directory? Adult users can click on an organization to view the groups and subgroups connected within the org’s network. Clicking on an organization (school, PTA, etc.) will show the groups and subgroups that are connected to each grade or department level. Click on an administrator or teacher to view their contact information and/or send them a private message. 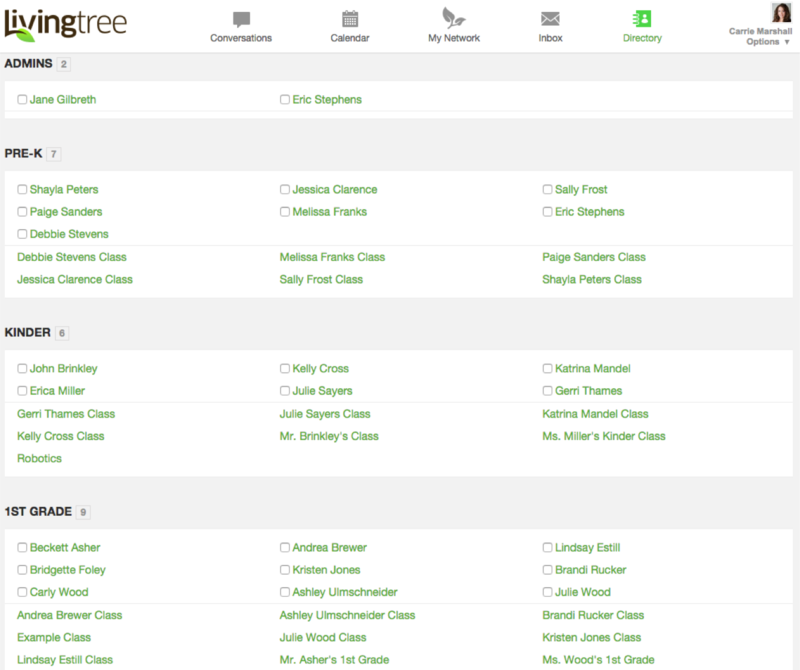 Click on a class to view the parents/teachers in that class. School and district administrators are able to hide some or all groups within a school. If you're not seeing classes and teachers in your directory, your school or district may have opted to 'hide' certain directory info.